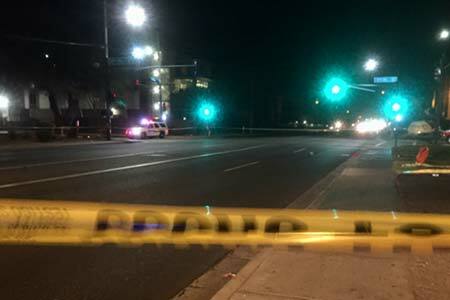 Phoenix, Arizona—Clifford Yazzie died from injuries he sustained after being struck by a car in Phoenix on Sunday evening. The accident occurred near 17th Avenue and Glendale just after 7:30 p.m. According to accident investigators with the Phoenix Police Department, Mr. Yazzie was attempting to cross Glendale Avenue when he was struck by a car that was traveling eastbound. He was transported to the hospital where he was pronounced dead. Police do not believe that the driver was impaired. We offer our condolences to the family and friends of Mr. Yazzie.